Looking for a Special Occasion Experience? 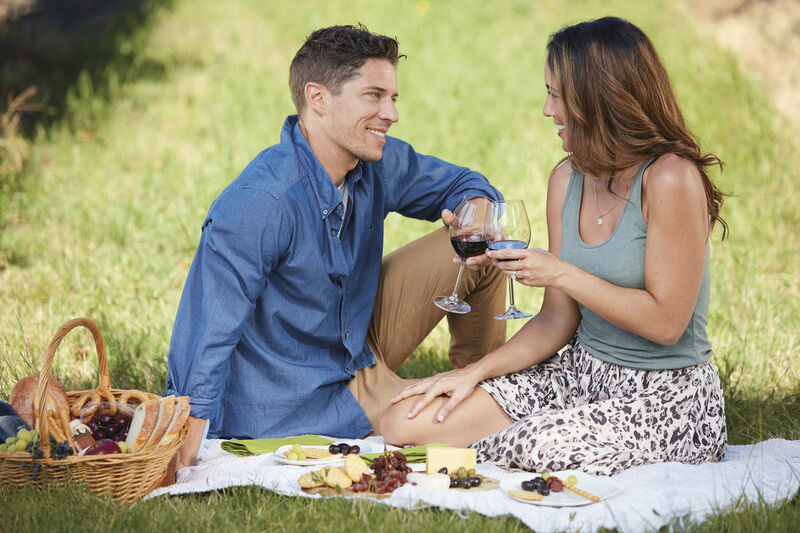 We can help - why not spoil someone special - or yourself with a Gift Certificate for a memorable day out in beautiful South East Queensland? 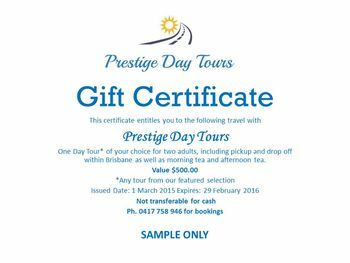 Prestige Day Tours Gift Certificates are available for any amount and are valid for a full 12 months from the date of purchase. 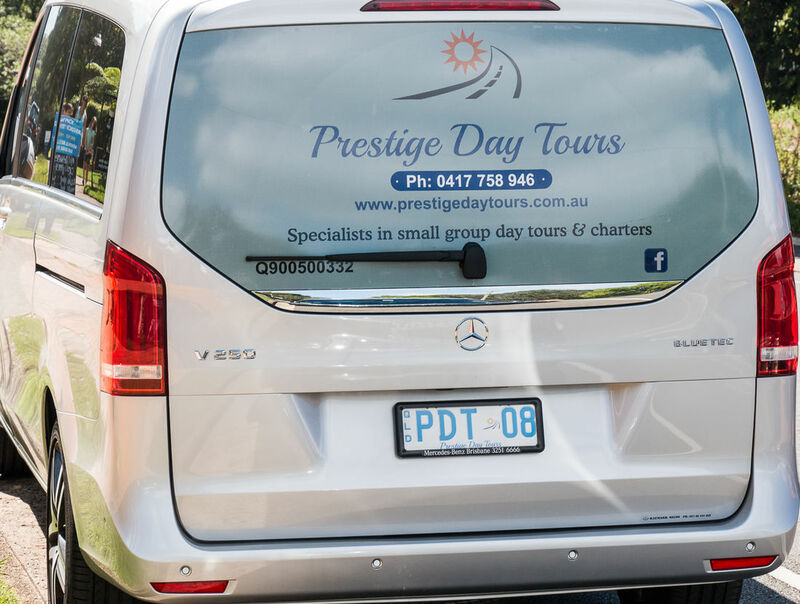 They can be used towards the cost of any of our Small Group Tours or Private Tours. We can even add your personalised message to the Gift Certificate, if required. 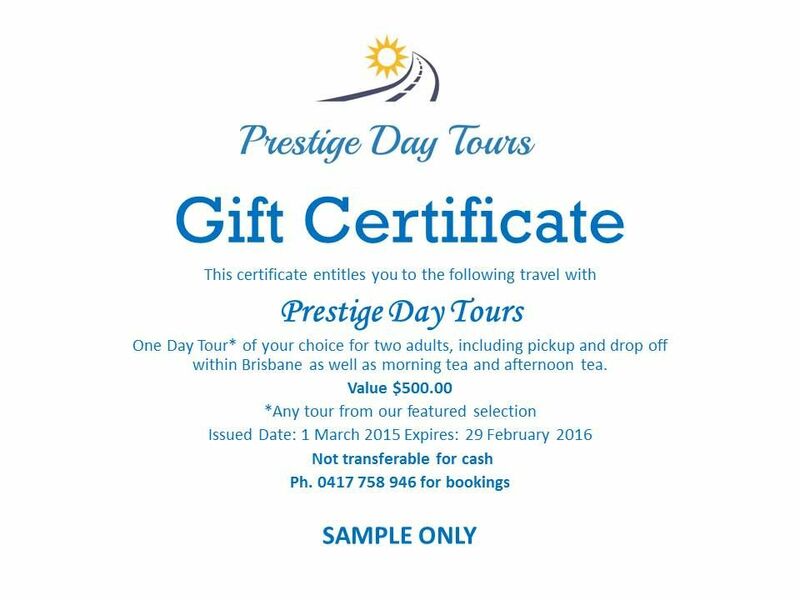 Gift Certificate is valid for 12 months from the date printed on the Gift Certificate. Gift Certificates may be transferred to another party. Please contact us to advise who will using the Gift Certificate, so that we have this information for our records. Gift Certificates may be used for any tour from those currently featured, subject to our minimum number of guests (2) being confirmed for the selected tour. The value of the Gift Certificate will be applied in full towards the cost of the chosen tour, However, depending on the tour selected, additional charges may apply. For tours with optional extra activities, these costs will need to be paid at the time of booking the tour. The value of the Gift Certificate may be used towards the cost of Private Charter, with any additional costs to be paid at the time of booking the Private Charter. Our standard Terms and Conditions also apply in addition to those outlined above.